Why not start in your own community. Hands On Greater Portland can help. 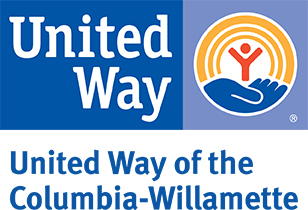 As the volunteer program of United Way of the Columbia-Willamette, Hands On Greater Portland connects thousands of volunteers to projects every year. Our mission is to improve lives, strengthen communities and advance equity by mobilizing the caring power of people across our metro area. What does that look like? You decide. Maybe it looks like building a house, tutoring a child or caring for abandoned pets. Perhaps it looks like building hiking trails, leading a volunteer group or joining a nonprofit Board of Directors. Whether you are working, parenting, in school or retired, Hands On Greater Portland offers you a variety of ways to get involved while meeting your schedule and interests. Volunteer for a one-time project. Volunteer for a few weeks. Volunteer after work or on the weekends. Volunteer alone, with family, friends or co-workers. When you volunteer with Hands On Greater Portland, you join people from all backgrounds and experiences. You get a chance to explore issues that shape our community and develop your leadership and job skills. Get connected. Get more done. Have fun. You might even change the world.